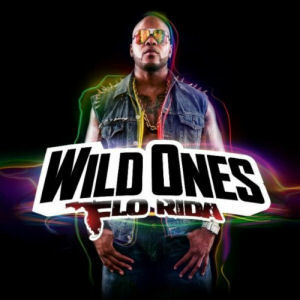 RapReviews.com Feature for July 10, 2012 - Flo Rida's "Wild Ones"
Originally conceived as a sequel to his album "Only One Flo (Part 1)," Flo Rida's new album "Wild Ones" was repackaged and retitled based on the runaway success of the single it's named after. The dominance the song has had on the pop charts, radio airwaves and mainstream outlets has reached the point where I hear my hip-hop friends bitching about it on a daily basis. I guess that puts me in the minority then because even when the soFLY, Nius & Axwell song peaked by being used as an official theme song for WrestleMania 28 I wasn't tired of it then, and I'm still not now. Sia's singing clearly plays a huge part in that, but in general it's just a bouncy and inoffensive bit of hip-pop that's easy to bop to. Take a genius to understand me"
Slow it down baby, take a lil' longer"
The album's newer tracks which have yet to chart fit perfectly into Flo Rida's pop rap formula. People tend to use that word like it's an indictment, as if being "formulaic" is inherently bad, but I don't find anything bad about the hard driving dance beat or Jennifer Lopez crooning of "Sweet Spot." If the GoonRock produced "Run" featuring Redfoo sounds like any other LMFAO hit song, that's really not so bad, and as an 80's child I appreciate the way the song references "Run to You" by Bryan Adams. "Wild Ones" is not a bad or offensive album in any way unless you find bubblegum pop music offensive because it's all sugar and no substance. Nobody listening to this could deny it - hell the album doesn't even have an advisory sticker - but there's absolutely nothing wrong with it. It's cotton candy rap for the dance floor, and at the album is only $3.99 it's actually a better value than the cotton candy at the state fair. Buy it, enjoy it, and forget it. It's a fun bit of fluff.